Each spring, when the ice starts to melt the Walleye begin to spawn. Waterfalls lodge participates with a local club consisting of volunteers who live on our chain of lakes. Each spring we go to work to improve our fishery. We have participated in this walleye rearing program for 30 years. We harvest the eggs from mature females then help nature along. 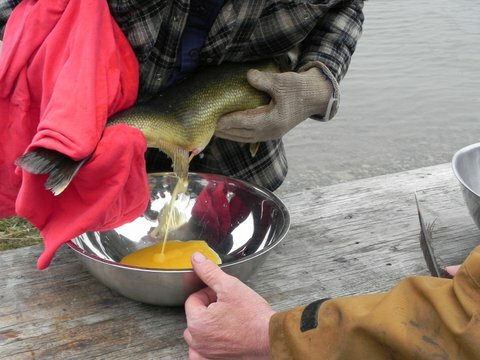 The walleye eggs are fertilized with male walleye sperm. After the collection of the eggs, they are taken to the hatchery, which is near the lodge, where they are monitored for a number of days. Once the Walleye eggs have hatched they are called fry. 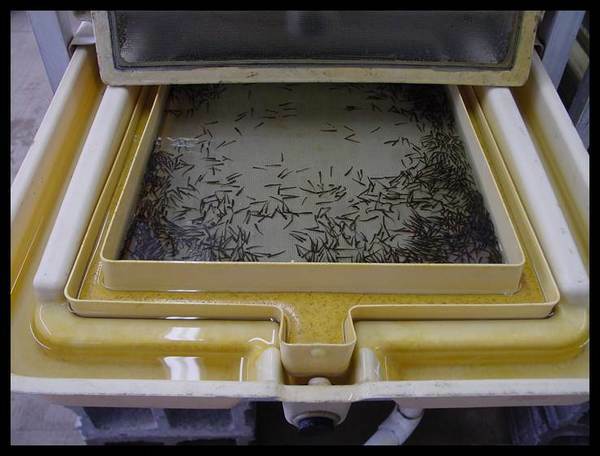 The walleye fry are taken to holding ponds where they grow to about 2” long. When they become “fingerlings”, they are moved to the lakes in the area, including our chain of lakes. This program has been happening for over 30 years!